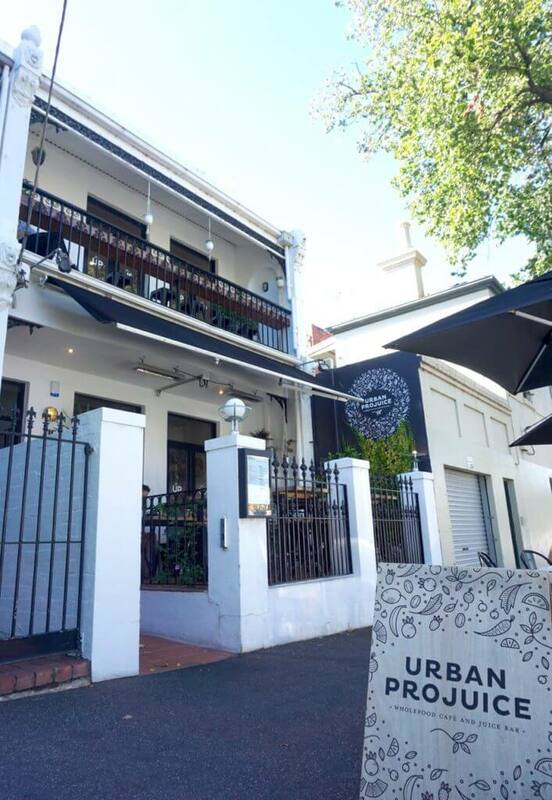 Hidden in a gorgeous Victorian terrace house in Albert Park you’ll find a wholefoods vegetarian cafe and juice bar called Urban Projuice. 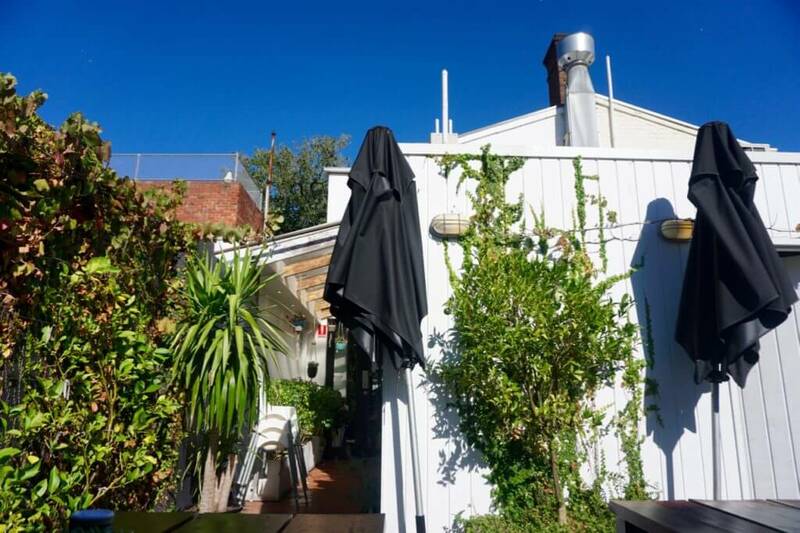 It’s one of my favourite pit stops in Albert Park (and I’m not vegetarian). 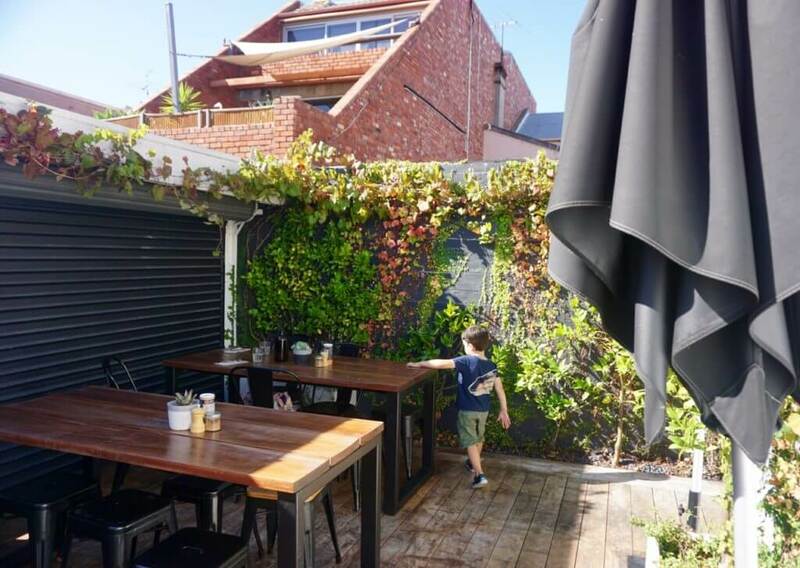 Sit outside on the shaded front terrace or wind you way to the leafy orchard courtyard. There’s also an upstairs front balcony for amazing views and people-watching opportunities. My 4yo lunch date decides he wants a ‘chocolate milkshake’ so I order a Cacao Kapow smoothie ($10) with cacao, dates, banana and almond mylk. Yum, he declares, not knowing about the superfoods he’s drinking! 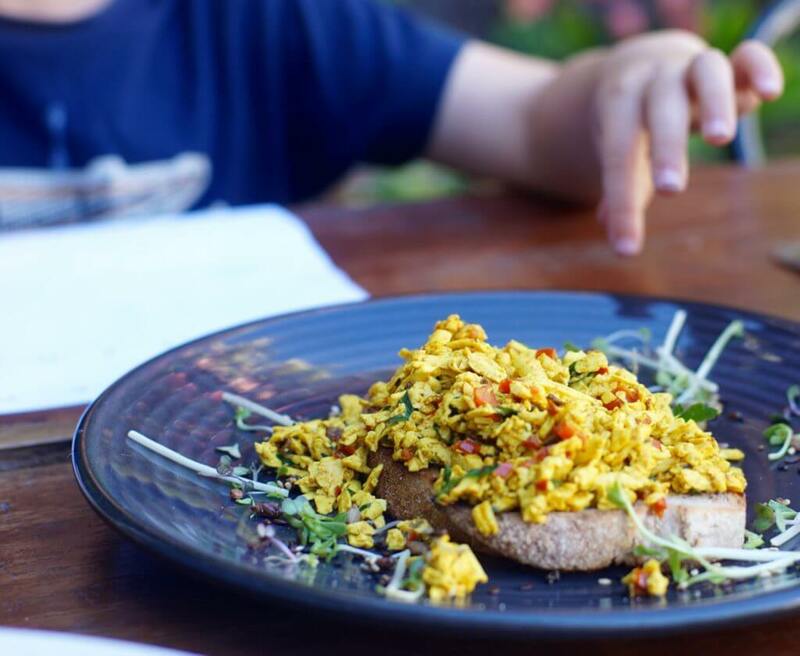 For a light meal I highly recommend the aromatic tumeric and chilli tofu scramble atop organic sourdough ($8.50). For dessert we share the berry coconut waffles ($17.50). They are filled with berries and have a satisfying crunch on the outside while fluffy on the inside and are gluten-free. The combination of vegan vanilla ice cream, salted maple coconut flakes and date cacao sauce makes it a decadent treat. The only bum note is the ‘coconut rough’ which is very hard and bitter. Urban Projuice offers healthy plant-based eats that are tasty, nutritious and perfect for Instagram. The staff are smiling and friendly, the kind of happy-shiny-people who make a great advertisement for healthy living!